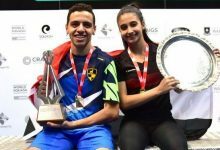 In only his second PSA World Tour squash event after major knee surgery, top-ranked Spaniard Borja Golan admitted that he is almost back to 100% after clinching the La Ciotat International Open title in France as a qualifier. 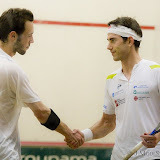 The former world No10, now languishing at 95 after his eight-month layoff, beat top-seeded Italian Stephane Galifi11-7, 11-3, 8-11, 11-1 in the 50-minute climax of the inaugural $10,000 One Star Tour event at La Ciotat Squash Club in the city of La Ciotat. 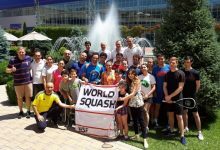 The triumph marks Golan’s 20th title on the PSA Tour – and was revenge for his defeat by Galifi, the world No52 from Aix-en-Provence, who stopped the Spaniard in last month’s quarter-finals of the Internationaux de France in Bordeaux. “La Ciotat was a nice tournament to make my comeback – the organisation was very good and they took a lot of care of the players,” said Golan as he left La Ciotat for Toulouse, where he begins his third qualifying campaign in a row – this time to make it into the main draw of the $15,000 Movida International Toulouse Open. “I started the tournament at 70% and finished close to 100% of my level – so I’m really happy for that,” added the 27-year-old from Santiago DC. “Tomorrow I will start playing in Toulouse – so I have to forget the win of today and focus on qualifying for the Toulouse Open. 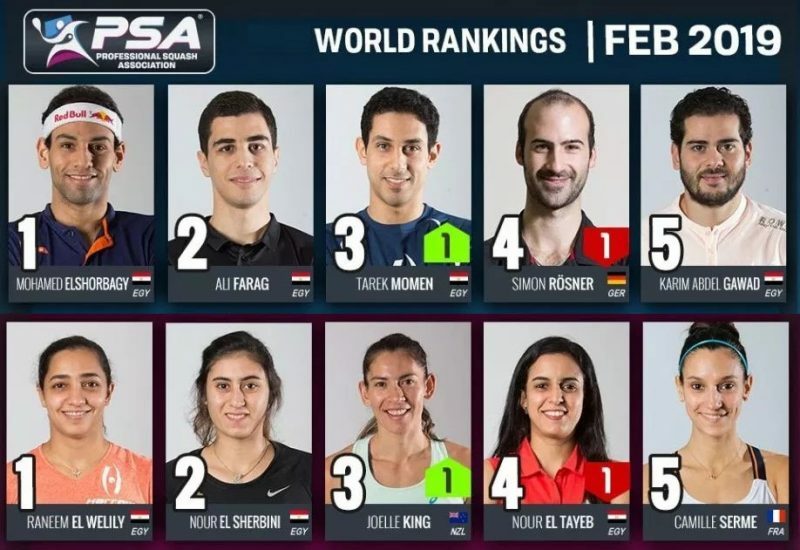 When Golan celebrated his career-high world No10 ranking last September, he became the highest-ranked Spaniard of all-time – moving ahead of nineties star Austin Adarraga. 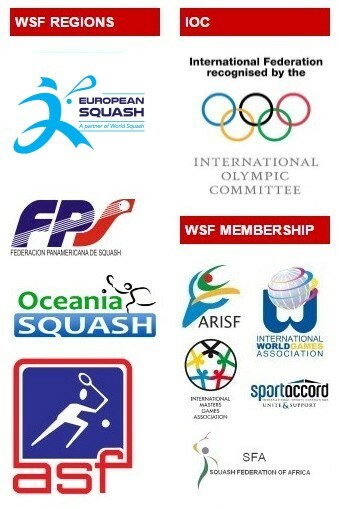 Borja Golan will be looking for revenge in the final of the La Ciotat International Open at La Ciotat Squash Club in the French city of La Ciotat when he meets meet top seed Stephane Galifi for the $10,000 PSA World Tour title. In his third successive upset in the event, Spanish qualifier Golan claimed his biggest scalp when he beat second-seeded ScotAlan Clyne 11-9, 12-10, 11-5 in 44 minutes. 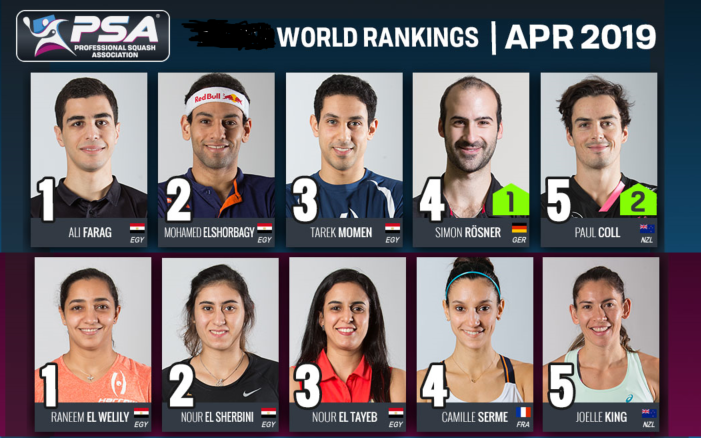 Golan is making his comeback after major knee surgery last year – since when he has seen his world ranking slump to 95 just seven months after holding the No10 slot. 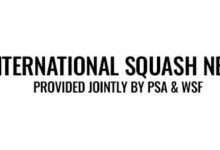 The 27-year-old from Santiago DC returned to PSA Tour action at last month’s Internationaux de France in Bordeaux, where he was stopped by Galifi in the quarter-finals. The Aix-en-Provence-based Italian went on to reach the French final – and is now celebrating his 14th appearance in a Tour final in La Ciotat. 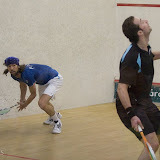 Galifi, ranked 52 in the world, beat Frenchman Yann Perrin, the fourth seed, 14-12, 11-4, 11-4 in the other semi-final. 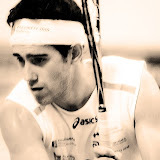 Borja Golan maintained his confident run in the La Ciotat International Open by beating fellow qualifier Fabien Verseille in straight games to reach the semi-finals of the $10,000 PSA World Tour squash event in its first year at La Ciotat Squash Club in the French city of La Ciotat. The top-ranked Spaniard is making his comeback after major knee surgery – since when he has seen his world ranking slump to 95 just seven months after holding the No10 slot. 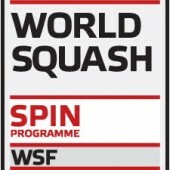 But the 27-year-old from Santiago DC showed signs of his former form as he despatched Frenchman Verseille 11-6, 11-3, 11-2 in 31 minutes in the only straight games win of the day. 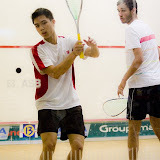 Golan will have a tougher battle ahead of him as he takes on second seed Alan Clyne for a place in the final. Fresh from his title triumph in last week’s Kent Open in England, Scot Clyne overcame sixth-seeded Malaysian Ivan Yuen11-6, 2-11, 11-7, 11-7 to set up a first-time Tour clash with the highest-ranked Spaniard of all-time. 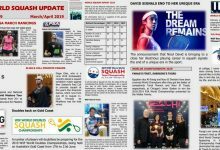 Yann Perrin single-handedly carries domestic interest through to the semi-finals of this inaugural Tour event in La Ciotat after surviving a hard-fought five-game clash with Hong Kong’s Max Lee. The fourth seed from Aix-en-Provence beat fifth seed Lee 3-11, 11-5, 13-11, 3-11, 11-3 in one minute just short of an hour. It will be an all-Aix battle in the semi-finals as Perrin takes on Stephane Galifi, the top seed who is based in the French city but now plays under the Italian flag. Galifi recovered from a game down to beat Finland’s No8 seed Henrik Mustonen 5-11, 11-6, 11-8, 11-7. 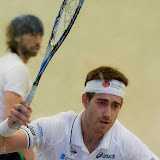 Borja Golan, the top-ranked Spaniard making his PSA World Tour comeback after major knee surgery, upset third seed Steve Finitsis in the opening round of the inaugural $10,000 La Ciotat International Open at La Ciotat Squash Clubin the French city of La Ciotat. 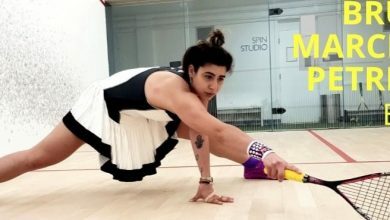 But the 27-year-old qualifier, a former world No10 now ranked 85 places lower, twice had to come from behind to overcome Finitsis, the world No68 from Queensland in Australia, 5-11, 11-4, 10-12, 11-4, 11-1 in 67 minutes. 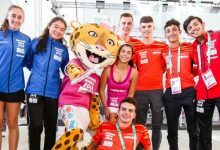 Golan, who began his Tour comeback trail last month at the Internationaux de France in Bordeaux – where he also reached the last eight as a qualifier – will now face fellow qualifier Fabien Verseille. The 24-year-old from Aix-en-Provence also recovered twice in a battle with fellow Frenchman Gregoire Marche before beating the No7 seed 4-11, 11-4, 8-11, 11-6, 11-4. 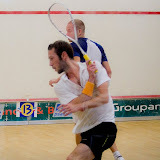 Meanwhile Verseille’s half-brother Stephane Galifi secured his anticipated place in the quarter-finals after an 11-5, 4-11, 11-7, 11-4 win over French qualifier Joan Lezaud. Based in Aix-en-Provence but now playing under the Italian flag, top seed Galifi will now take on eighth seed Henrik Mustonen after the Finn ousted unseeded Frenchman Antoine-Camille Petrucci 11-9, 11-6, 11-7. 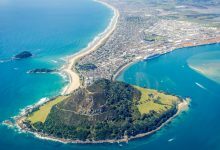 Alan Clyne, the second-seeded Scot who is expected to meet Galifi in Sunday’s final, repeated his win in last week’s Kent Open over Piedro Schweertman in the first round. 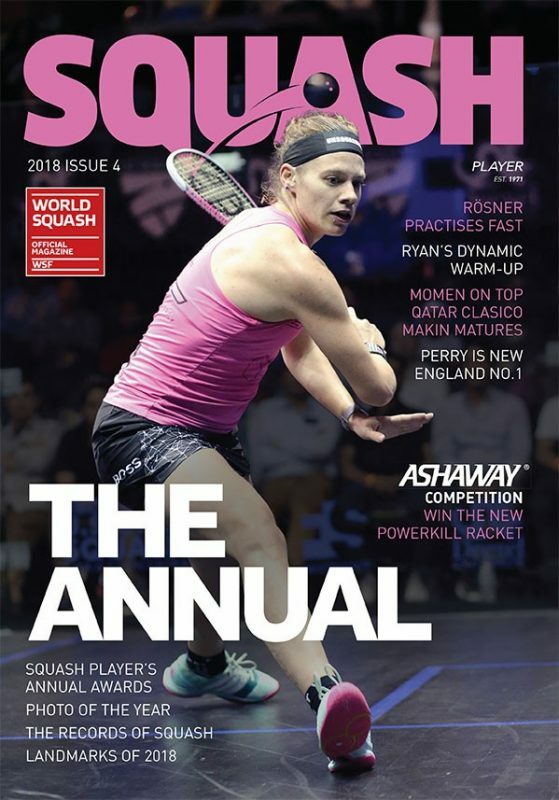 But this time the 23-year-old from Edinburgh despatched the Dutchman in straight games, winning 11-8, 11-7, 11-3 to set up the only quarter-final not to include French interest. 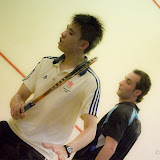 Clyne will meet Malaysian Ivan Yuen, the sixth seed who beat Egyptian Wael Farag 11-7, 7-11, 7-11, 11-4, 11-8 in 60 minutes.